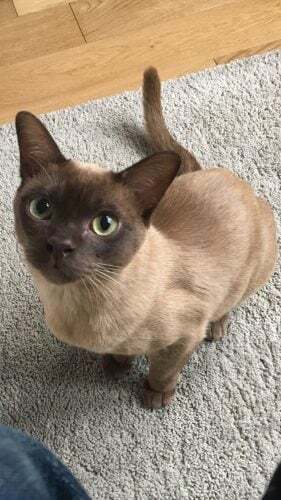 Claude is a 3yr old Choc Point Burmese. He’s timid around new people but quite feisty with other cats. He likes to climb in builder’s vans and so could have ended up quite far away from home by mistake.